The second estimate is the running estimate, compiled from the tasks the project has been broken down into. Now, the pro of this running estimate is that it is bound to be more accurate than the wild guess you started with, especiallly if computed with some of the fancy number working FogBugz does to account for how good different developers actually are at estimating their time. However, to every pro is a con and this one has a big one: the running estimate, although more accurate, is incomplete. You can only estmate for the tasks you've broken the project into and that is a fluxing set of tasks. As you develop you break larger tasks into smaller ones, learn new things you need to do, change requirements, find bugs in the work you've done already or the dependencies you use, and continue to iron out the design. This is even more true if you use agile techniques, so you didn't design a lot of upfront, but design on the go. Not to say this isn't a good thing, but it is a thing to be aware of. The project starts at 0.0 and it ends at 1.0. Your guess is somewhere below or above 1.0, but mathematically cannot be equal to it (because, you can't guess!). As you accelerate your collecting of tasks to do the running estimate begins to increase toward 1.0 very quickly, until you start to level out and complete more tasks than you create. We work on the running estimate of a sigmoid curve, winding up from nothing and leveling off at the best real estimate that can be given with the real data at hand. Now, I grabbed this image from some place and I didn't add the flat line that represents your initial guess. This is both because I didn't have the time and because that guess is completely useless. Great, so we work a sigmoid. So what? The world is flooded with useless information and I don't want to contribute, so this is the part where I make my revelation somewhat useful. At least, theoretically. A good estimation system, like the Evidenced-Based Scheduling from Fog Creek, is really great. But, what if we included estimation of estimations? Oh, that sounds recursive, for sure. Suppose that, in addition to computing the weighted estimates and the running estimates of release after compiling all the information that can be taken usefully into account, we also track the running estimates as they change over time. If we graph these, I suspect they would roughly follow the curve of the sigmoid. If we find this or any other pattern to be true, we can estimate the estimations. 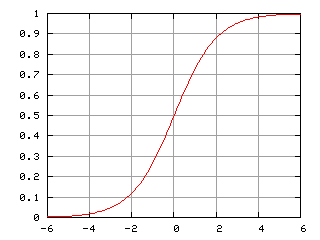 The further along a project goes, we can estimate the future of the curve and make moderately intelligent guesses about where the estimation will go in the future. Weighting for how different teams and individual developers estimate, the system can train itself for accuracy. I'm already into my current FogBugz tracked project, but my next will be setup to grab the estimate data periodically and I'm just itching to test out my theories. We can't predict when a project is going to be complete, if it ever is, but we can damn sure do better than pulling numbers out of the air.